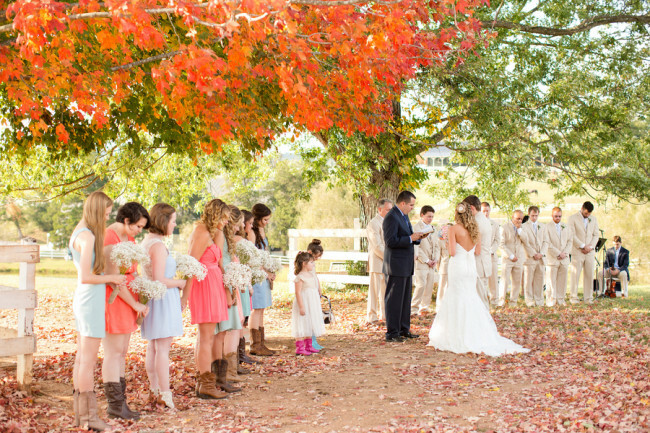 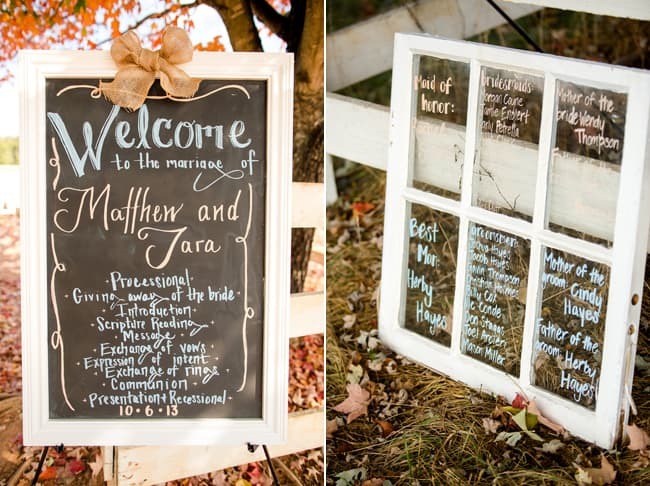 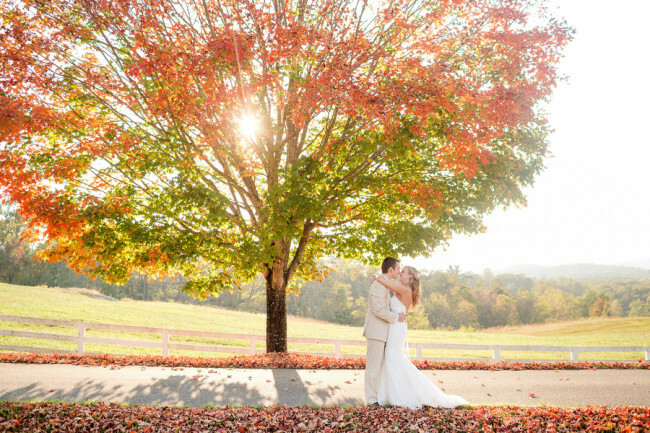 Matt and Tara had a Fall barn wedding on a gorgeous farm just as the leaves were changing colors. 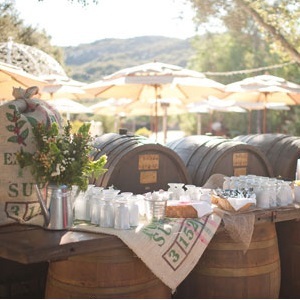 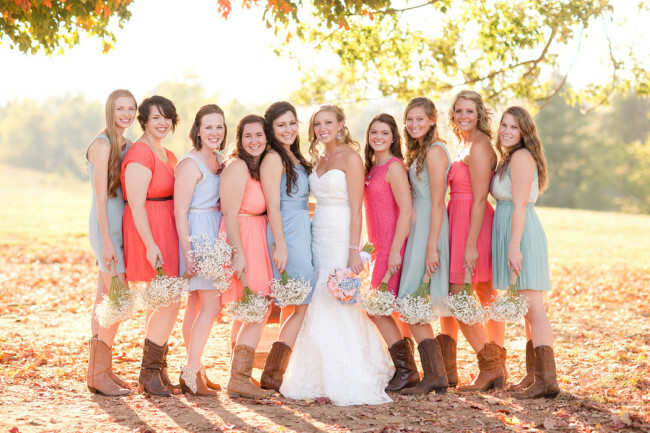 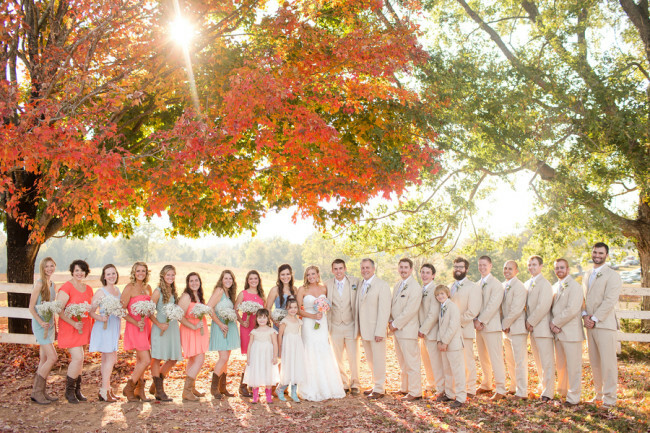 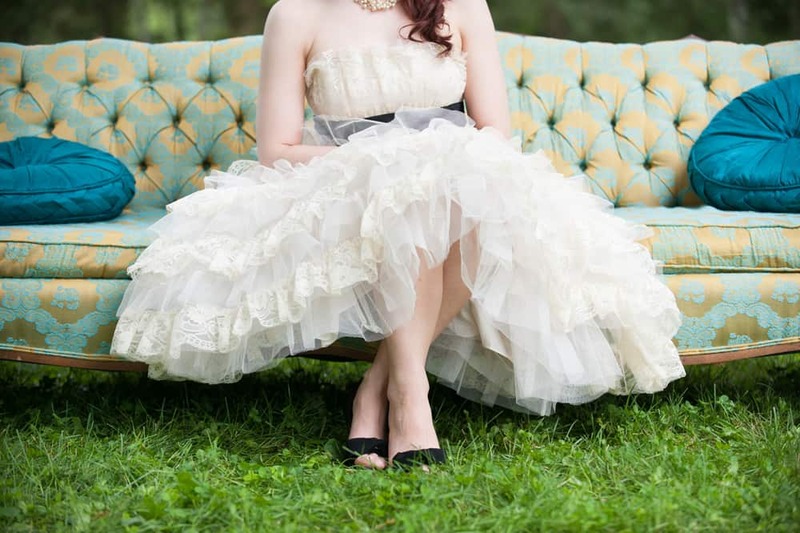 The bright attire of her bridal party stand out against the natural setting. 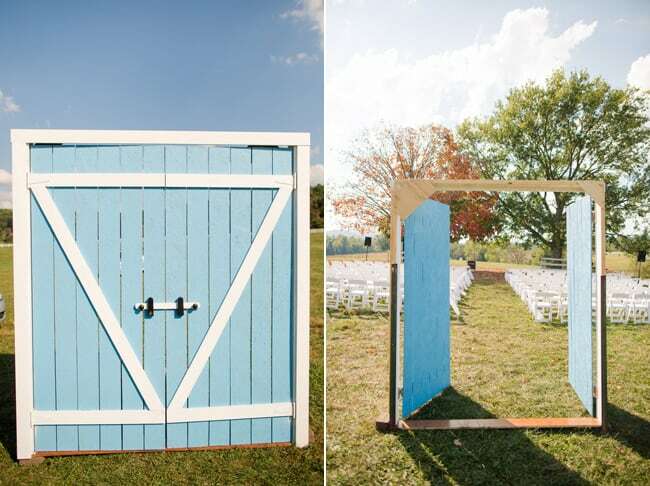 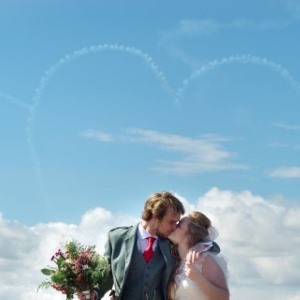 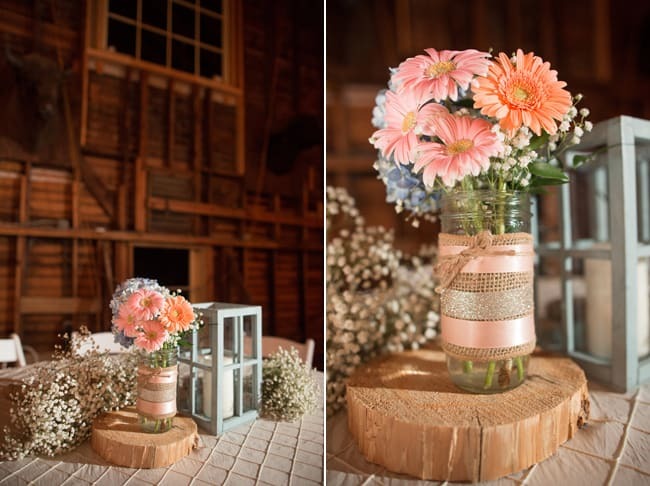 I love the bright blue barn door opening into a field where they got married. 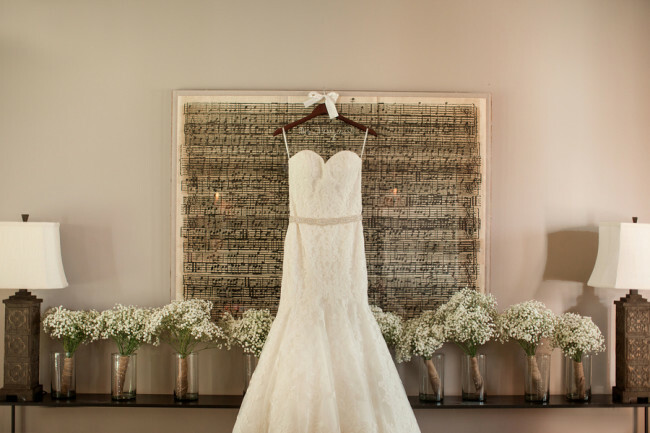 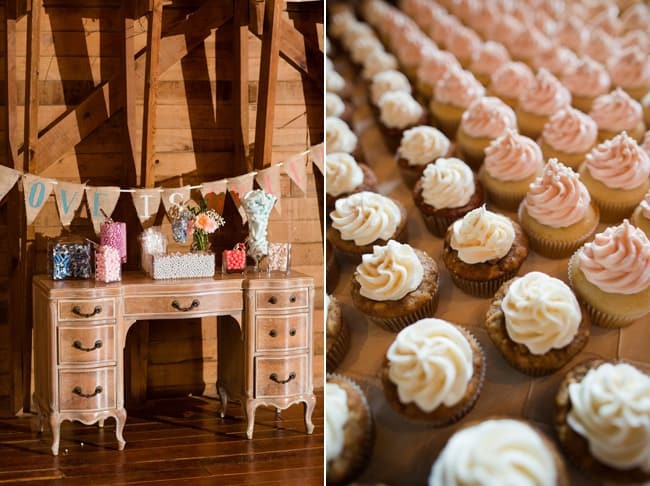 what adorable little details! 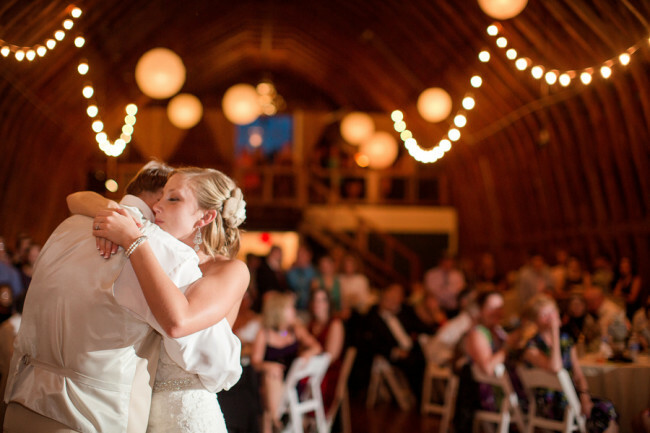 I really love the last shot of the couples first dance, beautiful.